With the Reflex Construction ERP, experience full communication throughout the company without ever having to re-enter information. Reflex provides a single solution to manage your construction projects from prospecting to project close. With comprehensive visibility, construction companies can keep track of estimating and budgets both prior to and during the project. From residential construction, to general construction, mixed use construction, civil construction, or any other major project activity, Reflex helps lower costs while keeping everything and everyone connected. Reflex also offers extensive mobile access in our field services module, which means that employees working on-site can access project information at any time. Enter and track all estimates. Our estimating module means that you can say goodbye to endless spreadsheets. Reflex’s user-friendly system allows you to fully manage all bid requests. 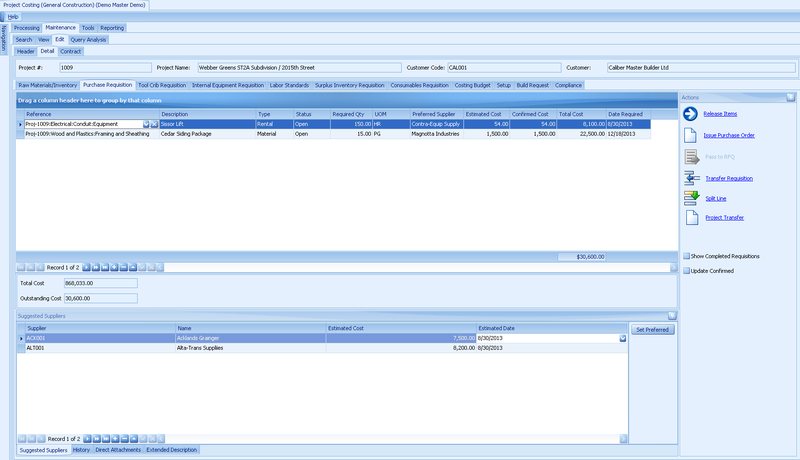 Break down cost and revenue by job code and LEM component and manage project markups. - Enter all costs required to build the project. - Send estimates to the potential client. - Fast and easy workflow for entering estimates. - Utilize customizable rate tables for project or tables that are customer specific. 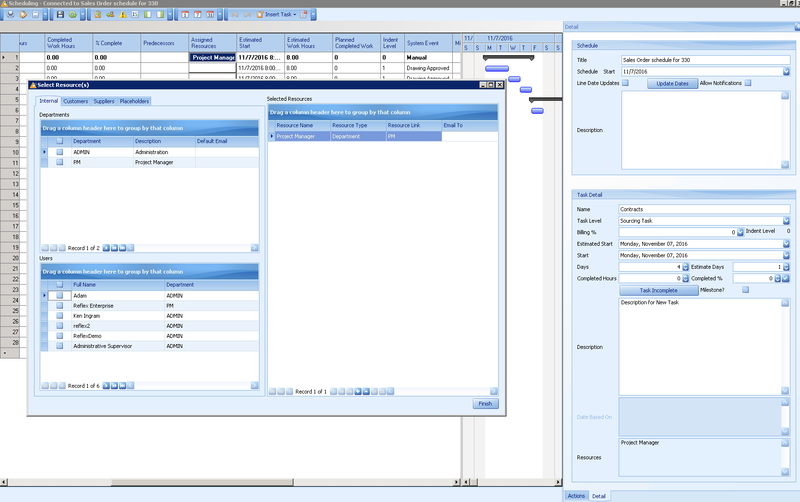 - Convert the estimate to a job within Reflex once the contract has been awarded. - User-friendly tool that allows each user to customize their estimating workflow to suit their own needs. - Estimate conversion rate is tracked. Track the project from start to finish. When converting an estimate to a project, take full control of all contracts and purchase orders with Reflex. The software also has a centralized procurement module for tracking equipment, materials, employees and contractors. Schedule crews and resources directly from the Reflex system. - Issue and track change and purchase orders. - Progress bill clients based on the project billing structure, such as percent, quantities completed, or hourly billings until the job is done. - Track payroll information and company documents through web portals. - Report generation based on cost or revenue. - Report on either internal cost codes or customer billing codes. - Access project information via mobile devices with Reflex's field services module. - AP invoice and compliance submission process allows subcontractors to submit for payment online and track the status of when they will be paid. - Schedule and track equipment rentals. - Real-time alerts and notifications. Reflex offers full management for construction projects. With estimating, users can access a quick view of all current estimates in the system and analyze them with our embedded Reflex Analytics™ module. Generate proposals and quotes directly within Reflex and store all documents, which are electronically linked directly to each estimate. Either start with a pre-defined template or build a full estimate from scratch. Assign a template schedule to a project and define project tasks with our full scheduling complement. Set milestones and critical tasks throughout the project while monitoring due dates and notifying resources when planned schedule dates are nearing. Experience a robust solution where you can build full estimates via takeoffs directly in the software. Markups can be managed per LEM component and add-ons can be easily incorporated into any of the cost lines. Project manager alert and approval notifications can be sent via email and can be accessed remotely or within Reflex. View all project budgets, commitments, actuals, and margin details from a single query screen. 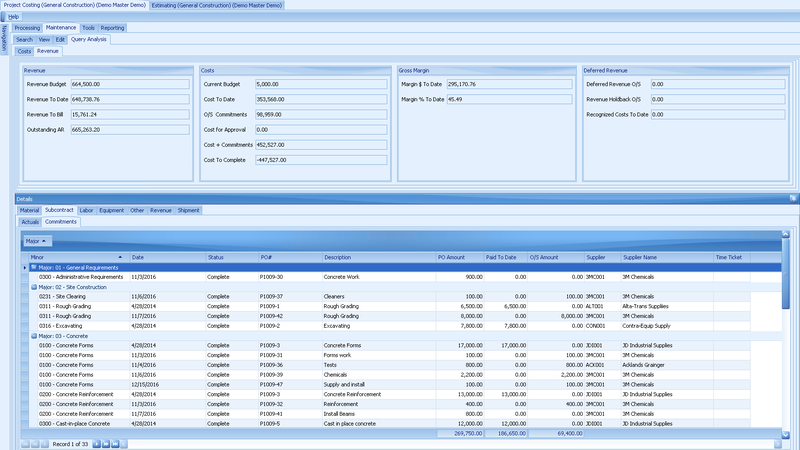 Manage all materials, purchase requisitions, equipment, labor, and budgets within the Project Details screen. Assign internal or external resources to any task and Reflex automatically emails the assigned resources based on tolerances that are pre-defined by the client. As system events are reached, such as "Drawing Approved," this will auto-complete a task.